Amazon Marketplace Web Service (Amazon MWS) is an integrated web service API that helps Amazon sellers to programmatically exchange data on listings, orders, payments, reports and more. Data integration with Amazon enables high levels of selling automation, which can help sellers grow their business. 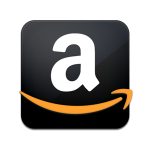 This Amazon MWS integration connector can be used to connect your Amazon Seller account with other services. It supports both triggers and actions, which means you can use it either to execute or to act upon a certain event. For example, you can list orders, submit product feed, and so on. PLEASE NOTE: If you intend to use the Amazon MWS integration connector, you must have an eligible seller account and you must be registered on Amazon. You need also to be registered on the elastic.io integration platform in order to use this connector. You can sign up for a trial period here.